Sam Brasseale holds a BFA in graphic design and new media from the University of Montevallo. He began developing UI in high school, and has worked in front-end development for Intermark, Infomedia, and VisitSouth.com. He specializes in graphic design and PHP development of multi-user content systems. 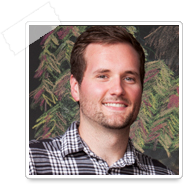 He manages all technical aspects at Freshfully, including POS, inventory management, web development, and much more.